Join Chieko Yazaki for a relaxing class of Japanese flower arranging. ​Please contact to book a class. You will learn traditional Japanese Flower Arranging in a small group. You will create an ‘Ikebana’ arrangement with fresh seasonal flowers. All necessary materials and tools will be provided for by the school. Chieko Yazaki is an active practitioner of the Shogetsudokoryu school of Ikebana and has been arranging flowers for over 40 years. 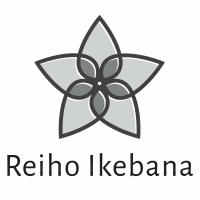 She holds the highest accreditation Nihon Sokaito and was the President of the Ikebana International Melbourne Chapter. Chieko currently teaches Ikebana to people of all backgrounds, old and young, and holds regular classes in Elwood and Moorabbin.